Do you want to take your color printing to the next level in quality? The Xerox C60 Copier provides application versatility and professional image quality, and is flexible enough to grow with your business. With the flexibility and productivity of a multi-function device as well as a higher level of quality and finishing. The Xerox C60 copier offers the best of all worlds. 0 pages per minute color and 65 pages per minute black and white. As well as stunning print resolution of up to 2400 x 2400 dpi, images are rich with crisp text so your output will always impress. You can count on this device to give you fast, quality results every time! 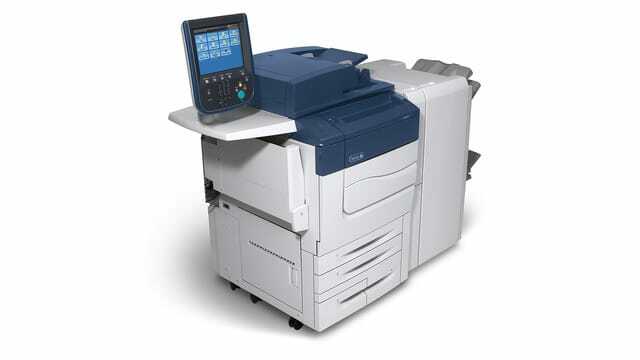 The Xerox Color C60 allows you to print, copy, fax (optional), and scan – including scan and print with PC, USB or email. It can even print from virtually any smart phone or tablet. That’s how the Xerox Color C60 boosts any businesses efficiency. With a vast range of finishing options including Stapler, Hole punch and Booklet maker you can take your printing to a whole new level. Whether you need to create a brochure, a captivating proposal or presentation, an eye-catching poster you get stunning results every time.